Gertrude M. Feely was a Methodist Episcopal Church, South, missionary in Japan. She served under the guidance of the Women’s Division of the MECS and after 1940 of the Methodist Church. Feely received her B.S. from the University of Missouri in 1927. She earned an M.A. from Scarritt College in Tennessee in 1930 and a Ph. D. in education from Columbia University in 1950. Feely was a missionary for more than forty years, and worked in several Japanese cities. From 1931 to 1933, she taught English and language study at the Kure Naval Station and at Kobe. While in Oita from 1933 to 1941, Feely was involved with youth work and taught English. In 1941, she went to the Philippines and during the Second World War was interned by the Japanese. She spent time in the Santo Tomas and Los Banos Camps and stayed with a group of Methodist missionaries at Harris Memorial Training School for some time before she was finally interned in Los Banos. She served as an interpreter for two and a half years of the war. Upon her liberation on February 23, 1945, Feely was furloughed to the United States, where she remained until 1949. Feely returned to Japan later in 1949 and became the director of the Kobe Christian Youth Center, which opened in 1953. She continued to teach, working at the Night School, at the Palmore Institute and at Seiwa Junior College, where she was an instructor in the Old Testament. In 1954, Feely was ordained by the Church of Japan. The collection has a variety of information about her experience as a missionary and as a person during the Second World War. There is a touching meditation that she wrote on her 36th ( 1939) birthday describing the challenges, both personal and emotional, involved in becoming a missionary. There are also camp newsletters produced by the internees. The last newsletter leads off with the following: “After 37 long months we celebrate our first day of freedom to-day with the final departure of the Japanese from the City of Manila, and await with bounding hearts our own, our friends, our allies.” Feely also kept a diary during her interment. The diary was in the form of letters to a friend in Manila. She also kept a notebook which tracked conditions in the camp. In these documents we see the humanity of the individual. 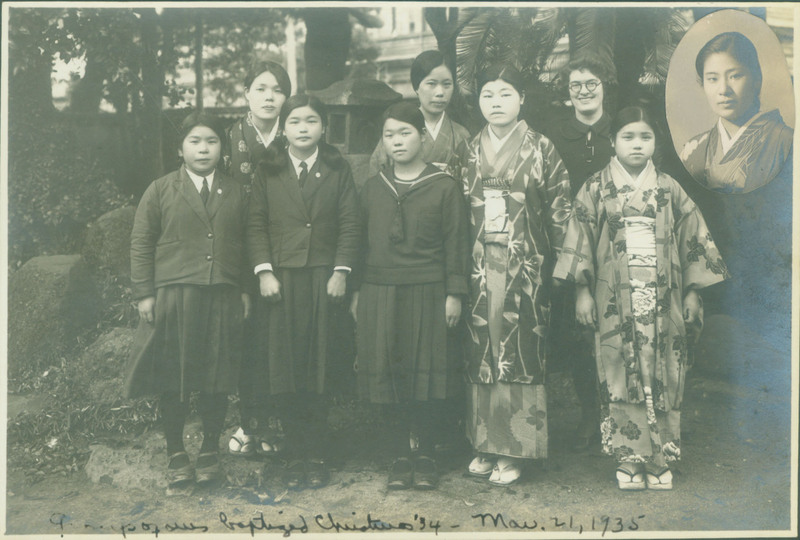 She returned to Japan after the war and helped the people there re-build their lives and their church. She retired in 1972.